JULIET Le Page knows more than most about the gift of life. The Scots fertility expert battled for years to experience the joy of motherhood. Her struggle led to her quitting her job as a physiotherapist to help other childless couples become parents. Juliet, 49, said: "Becoming a mum changed my life and made me want to dedicate my life to helping other people struggling to start families." The former NHS worker left trying for children until she was 43, when she met her husband, Richard. But tests showed Juliet was going through an early menopause, which made it impossible for her to conceive. THERE are just 38 live births a year in Scotland as a result of egg donation. One in six Scots couples now seek help while trying for a baby. Figures show just 45 per cent of people who undergo fertility treatment manage to have a baby. The average age women try to start their families now is 32 - compared to 28 in 1998. Last year, 30,818 women had IVF in the UK, as a result of which 10,175 babies were born. 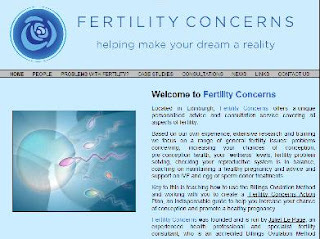 Nineteen per cent of fertility problems are due to male fertility problems. Women aged over 40 have a less than 10 per cent chance of IVF treatment working.